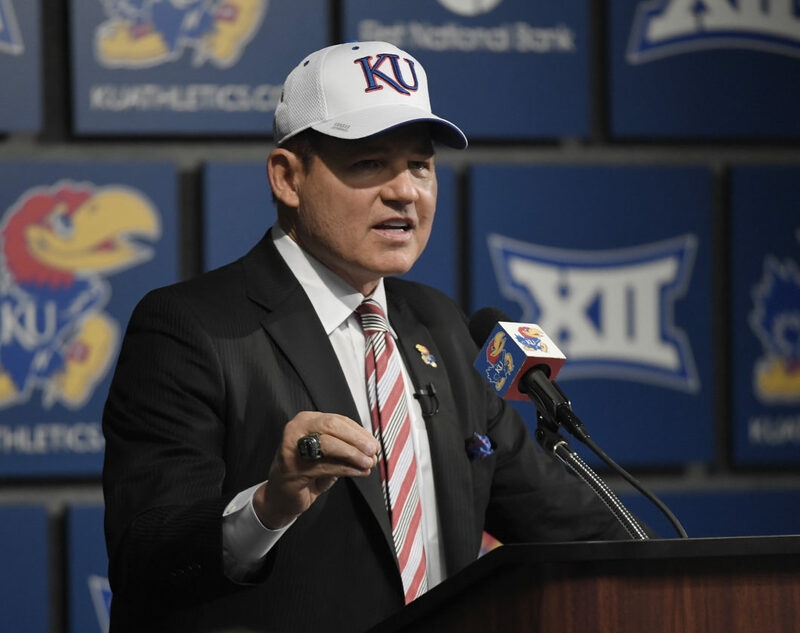 Newly hired University of Kansas football coach Les Miles speaks to the media Sunday, Nov. 18, 2018, at Hadl Auditorium. 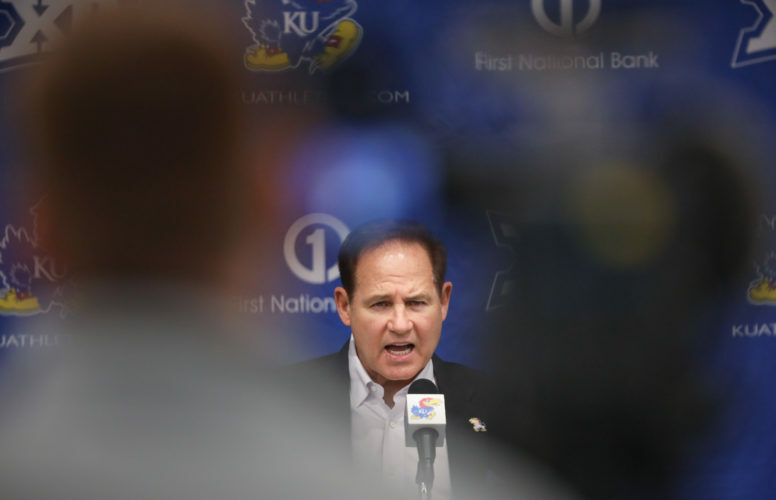 As new Kansas football coach Les Miles looks to fill the recently vacated offensive coordinator spot on his full-time coaching staff, Miles announced Friday the hiring of a pair of support staffers who used to work for SEC programs. 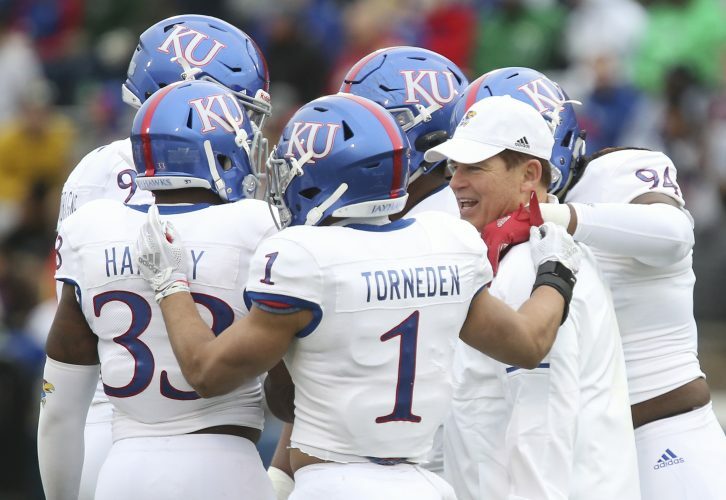 Dave Shumate was named KU football’s director of player personnel, and Devin Ducote will serve as the program’s senior analyst for special teams. 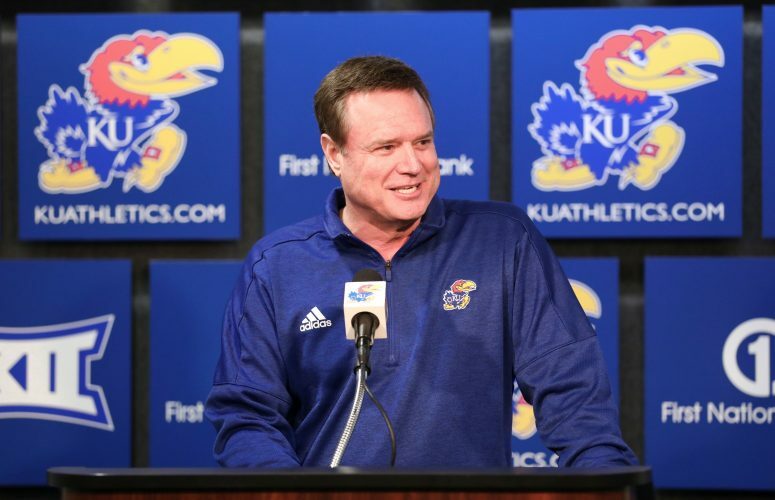 Shumate joined the Jayhawks after working at Texas A & M, where he was the Aggies’ assistant director of personnel for two years. Ducote, too, relocated to Kansas from the SEC, having worked the past three years at Auburn. 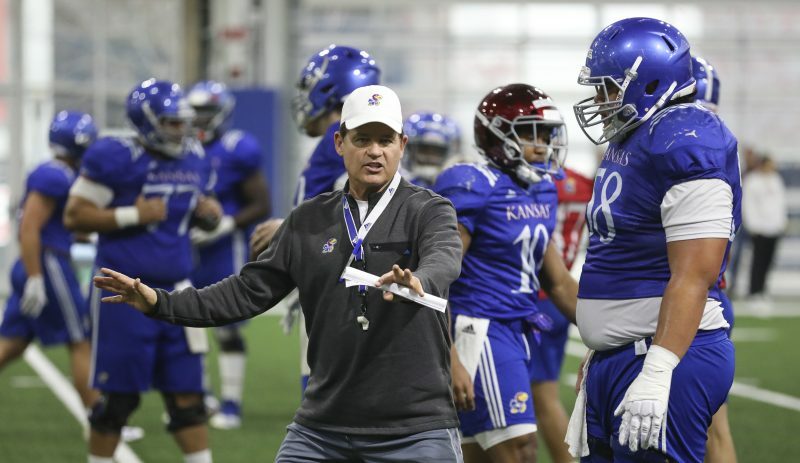 Ducote served as a defensive analyst for Auburn, where short-lived KU offensive coordinator and quarterbacks coach Chip Lindsey — now the head coach at Troy — spent the past two years. 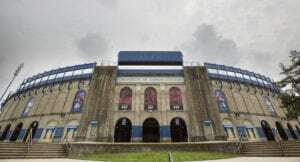 But Ducote has ties to KU through Miles, as well. The new analyst worked as a graduate assistant for LSU from 2014-15. Shumate, like Ducote, also worked at Auburn, where he was coordinator of player personnel in 2016, following a two-year stint as coordinator of offensive player personnel at Georgia (2014-16). A 2012 graduate of Alabama, Shumate broke into college football as a personnel analyst at Miami (Fla.). An All-Southland Conference linebacker at Stephen F. Austin during his playing days, Ducote coached defensive backs at SFA from 2012-13 after playing for the Lumberjacks from 2007-10. Ducote is a Baton Rouge, La., native.